The US penitentiary system refused to send mentally ill criminals to closed specialized hospitals in the 21st century. 95 out of every 100 inadequate criminals are sent the most ordinary state and federal jails, where they dement themselves and those around them. Mentally ill prisoners are the main cause of many conflicts including murder. 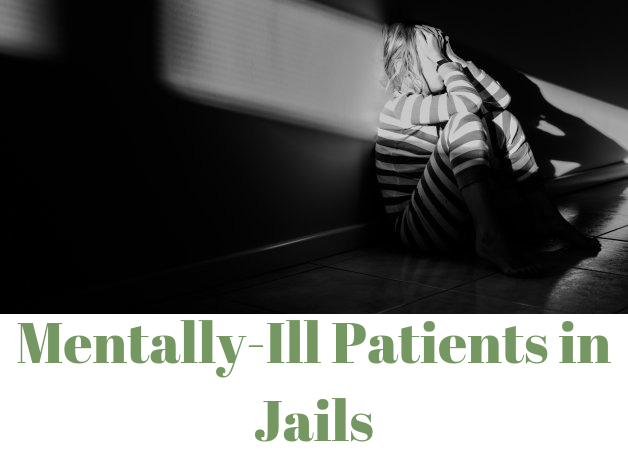 According to the latest data from the Department of Justice (DOJ), over 60% of prisoners suffer from mental disorders and do not know their diagnosis. If compared in the early 50s of the last century, there were less than 10% of such prisoners. They were sent to psychiatric hospitals where they underwent a long rehabilitation therapy. Many patients remained in closed hospitals for all life. To place a healthy person and a psychopath in one cell is equal to placing a dying person with tuberculosis and an athlete. The mind of a healthy person will be broken. As a result, our system will receive not one, but two people, whose actions cannot be predicted. There are no longer any people with strong nerves in US prisons, because their environment behaves extremely inadequately. Imagine that, 24 hours a day and 7 days a week, people around you scream, shout, tear their hair out, laugh hysterically, rush at others, relieve natural functions in the first place they see. Sober-minded prisoners do not know from whom to expect danger. Judges and prosecutors, who sometimes handle 60–70 criminal cases daily (for New York, this is the norm), are less interested in the mental diseases of criminals. Each examination costs almost $1.200 for the penitentiary system, so even obvious signs of psychopathy are sometimes considered as simulation. In America, there are cases every day when mentally ill people are jailed. A patient with schizophrenia may make an attempt to kill a loved one who suffers from a phobia – to attack a passer-by. In most cases, everyone will be sent to prison. An indicative incident occurred with James Holmes, who in July 2012 killed 12 people in the cinema of the city of Aurora (Colorado). Experts from the mental hospital of the Colorado Mental Health Institute recognized him completely insane but kept him in the hospital for only 15 days. His treatment would have cost the taxpayers tens of millions of dollars, so the court sent him to prison with a life sentence. The issue is not to treat sick criminals, our main task is to fence them away from mentally healthy prisoners. If we cannot build special hospitals for psychopaths, then let’s build special prisons for them. The current system is discriminatory against both healthy and sick convicts. Many experts consider prisons to be one of the main factors influencing the growth of psychopaths in society. Currently, 500,000 Americans are imprisoned. The psyche of many of them breaks down under the pressure of cellmates. They become free, demonstrate to others their inadequacy, and every second person is sent to prison again. It is important to say that the medical reform of Barack Obama made the problem of mentally ill criminals even more acute. Due to the lack of money for health care, many prisons have abandoned highly qualified doctors, expensive procedures and medications. The costs of the mental health check of the defendants and those sentenced, according to Obamacare’s opponents, have decreased by one third over the last 2 years. In the state of New York, almost 70% of convicts are not able to receive quality psychological assistance.